How can I send BTC from BitOasis wallet to an external BTC wallet? – You can start by clicking on the “Send Bitcoin” page on the “Send” tab on your BitOasis wallet dashboard. You’ll be required to enter the BTC address that you would like to send the BTC funds to. – Fill in the amount of BTC that you would like to send. 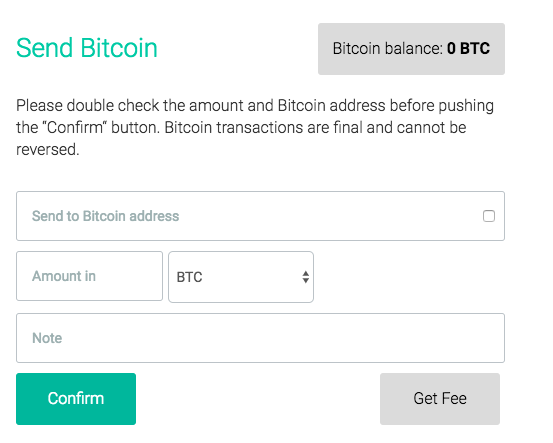 – You can also choose custom fees by clicking on “Here” at the bottom of the page. However, you’ll be taking full responsibility for possible confirmation delays. – Click on “Confirm” once you’re done. How can I receive BTC from an external wallet to my BitOasis wallet?